The other day I was talking with Dr. Tracey Bretag about her upcoming visit to Calgary for the Canadian Symposium on Academic Integrity. We were talking about the topics of her keynotes for the symposium and our conversation wandered around to contract cheating. I commented that contract cheating is poorly understood, in my opinion, by many faculty members and administrators in Canada. I commented that there are people on our campus who have never heard of it, or don’t believe it to be a widespread. I said that the importance of developing of academic integrity literacy was really important. And there it was, a term that captures the idea of bringing together the values that underpin the values we are trying to teach our students on campus, with foundational skills we need our students to learn as part of academic literacy. Weideman offers a comprehensive yet concise definition of academic literacy in this blog post. His definition includes skills such as understanding a variety of academic vocabulary in context, making distinctions between essential and non-essential information and knowing what counts as evidence (Wideman, n.d.). The skills Weideman describes are essential for success in numerous educational contexts. I would add that academic integrity literacy necessarily goes beyond the development of skills to include an explicit understanding of the values that underpin integrity and a conscious commitment to upholding those values. What is the difference between academic integrity and academic misconduct? This is a question that people ask me often. Integrity advocates differentiate academic integrity from academic misconduct for a couple of reasons. First, misconduct casts a negative lens on the issue, where as a focus on integrity shifts the conversation to a more positive and supportive view. Second, misconduct focuses on unacceptable behaviours or actions that can result in penalties. Ryerson University explains this key concept: It is the student’s responsibility to know what is expected of them in university. Memorizing a list of behaviours or skills could seem like an easy way to understand these expectations, but the concept of integrity is more complex than that. It is about taking responsibility for one’s actions and understanding what is acceptable and what is not. When Julia Christensen Hughes came to our campus in 2017 to talk about academic integrity, she reminded us integrity is rooted in personal code related to morals and values, but misconduct is a violation of laws and standards of practice. She emphasized that values drive behaviour. Definition: Academic integrity literacy is an inseparable combination of values, behaviours, ethical decision-making and skills necessary for academic success. This is a preliminary definition and we need to talk about and develop further, but it is a place to start. I’ll wrap up this post by sharing that I’ve just signed a book deal to explore into academic integrity more deeply. I’ll keep you posted on that in future posts, and you can be sure I’ll be digging into this notion as I write. Christensen Hughes, J. (2017, November 24). Understanding academic misconduct: Creating robust cultures of integrity. Paper presented at the University of Calgary, Calgary. Karanauskienė, D., Česnaitienė, V. J., Emeljanovas, A. n., Miežienė, B., & Mejeryte-Narkeviciene, K. (2018). Educating academic integrity: Obscure forms of academic misconduct at the institutions of higher education. Paper presented at the International Academic Conference, Dresden. Karanauskienė, D., Česnaitienė, V. J., Miežienė, B., & Emeljanovas, A. n. (2018). Differences in understanding academic integrity: A Lithuanian case. Higher Education in Russia and Beyond, 3(17), 6-7. Retrieved from https://www.researchgate.net/publication/329964165_Cheating_and_Plagiarism_in_Higher_Education_Higher_Education_in_Russia_and_Beyond_HERB. Miron, J. B., Eaton, S. E., & McBrearity, L. (2019). Academic Integrity (AI) Tutorials in Canadian Post-Secondary Institutions: A National Overview. Paper presented at the International Center for Academic Integrity, New Orleans, LA. We have not published the full findings yet, though we plan to do so soon. Because there is so little research available about what kind of support (e.g. education, tutorials, modules) offer on academic integrity to Canadian post-secondary students, we wanted to make these preliminary results available now. 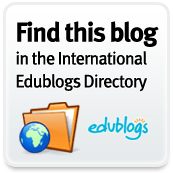 You are currently browsing the Learning, Teaching and Leadership blog archives for March, 2019.